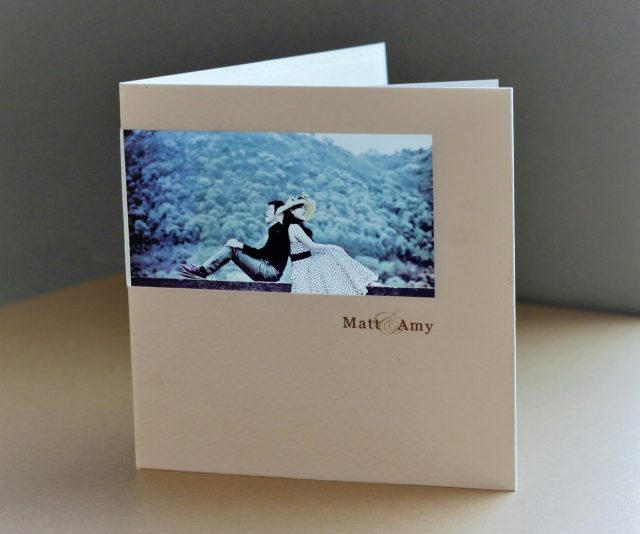 We can design our cards in any language using your special photo to create your very personal bespoke invitations. We are sometimes a little restricted on fonts, but you can have any colour this couple had a gold theme. We also made some cards in English as well as chinese for their guests.